A sjambok is a type of heavy leather whip of African origin. Traditionally, sjamboks were made from the tough hide of an adult hippopotamus or rhinoceros. Today, syntetic sjamboks are also available. A typical sjambok is 90-150 cm long, which equals approximately 35-60 in. In South Africa, there are many stores that sell sjamboks and sjamboks are available in a variety of materials and designs. How is a sjambok made? When making a traditional sjambok, a peice of hide from an adult hippopotamus or rhinoceros is cut and carved into a long strip (90-150 cm). This strip should be approximately 2.5 cm (1 in) thick at the handle and then taper to be about 10 mm (3/8 in) at the tip. The strip is rolled to achieve a tapered-cylindrical form. A correcly made sjambok from a suitable raw material is both flexible and durable. What is a sjambok used for? 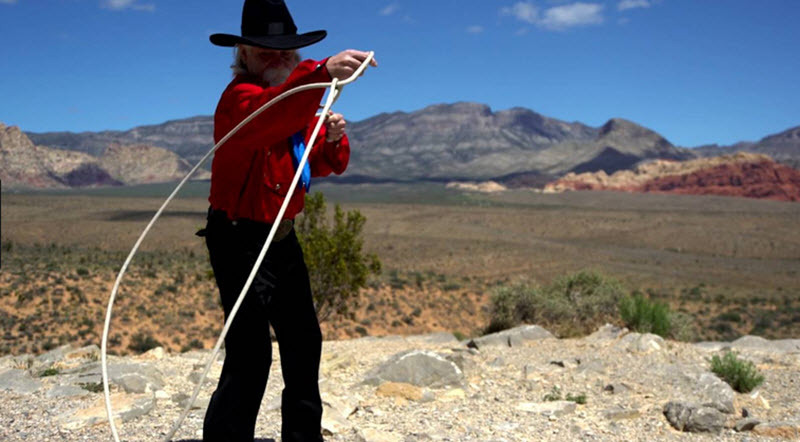 The sjambok is still used by herdsmen to drive cattle in South Africa, even though changes in cattle raising practises have made it less important than before. The sjambok were once an essential tool for the Voortrekkers (“fore-pullers”) who drove oxen as they migrated from the Cape of Good Hope. The Voortrekkers were Boer pastoralists from the frontiers of the Cape Colony who migrated eastwards during The Great Trek from from 1836 and onwards. The sjambok is an effective weapon to kill or ward off snakes. It can also be used to keep stray dogs and various other animals at bay. Many South Africans carry a sjambok for self-defense. 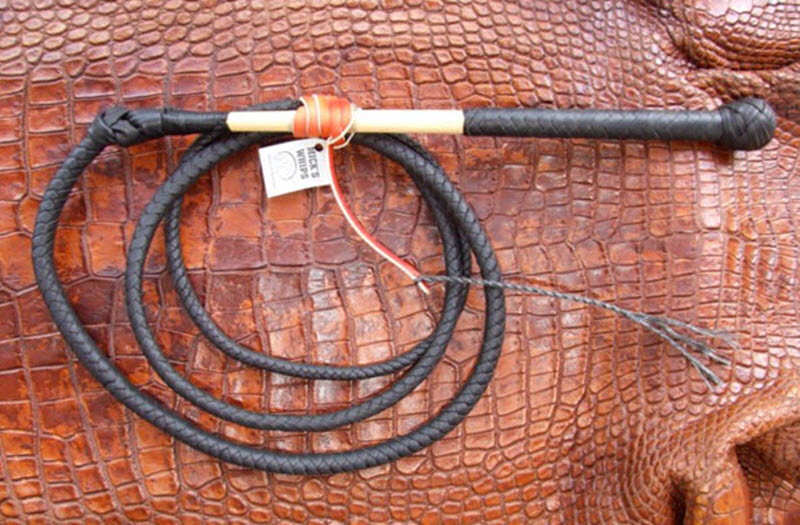 In South Africa, the sjambok is a part of the officially issued equipement for police offers. Nowadays, a sjambok made form plastic rather than animal hide is utilized for riot control. Historically, the sjambok was one of many tools used to punish and torture slaves in Africa and to force labour and obedience from local people. In Belgian Congo, the sjambok – which was called fimbo there – was used to flog local residents to extract labour from them. There was even an official tariff established for punishment of those who refused to work: 20 strokes with the fimbo. Eventually this tariff was lowered to ten strokes. In 1949, it was lowered to six strokes, and and then progressively to four strokes and two strokes. Flogging wasn’t outlawed until 1955. Why is it called a sjambok? The term sjambok is probably of Indonesian origin. In Indonesia, the cambuk was a wooden rod used to punish slaves. The term cambuk might hail from the Persian chabouk och chabuk. In the 19th century, slaves were brought to South Africa from Malaysia and the cambuk was brought with them. It is believed that South African slavers eventually started making their cambuks from animal hide instead of wood, but kept using the name cambuk – spelled sambok in Afrikaans. This term eventually turned into the modern name sjambok. Chicote Chiefly used in the Portuguese African colonies and the Congo Free State. Chicote the Portuguese word for whip. Kurbash Chiefly used in the northern Africa, including Egypt. Derived from the Arabian word for whip.